We recently had the opportunity to review The Secret Bridge by Amy Le Feuvre and published by Lamplighter Publishing. Lamplighter Publishing works to publish stories that promote good character qualities. They ensure that stories are edited to help show children the qualities of God. Some of these qualities include perseverance, hope, courage and humility. Lamplighter Publishing wants to help you develop your Christlike character "one story at a time". The owner Mark Hamby hated to read as a child, and discovered Christian literature in his 20s. He was looking for a good role model to follow, and he found it in the classics. He wanted to share this newfound love with others by re-releasing titles that were no longer in print. Yet they still have influence on our lives today. One of these works that they have republished in The Secret Bridge by Amy Le Feuvre. It was originally published in 1899. 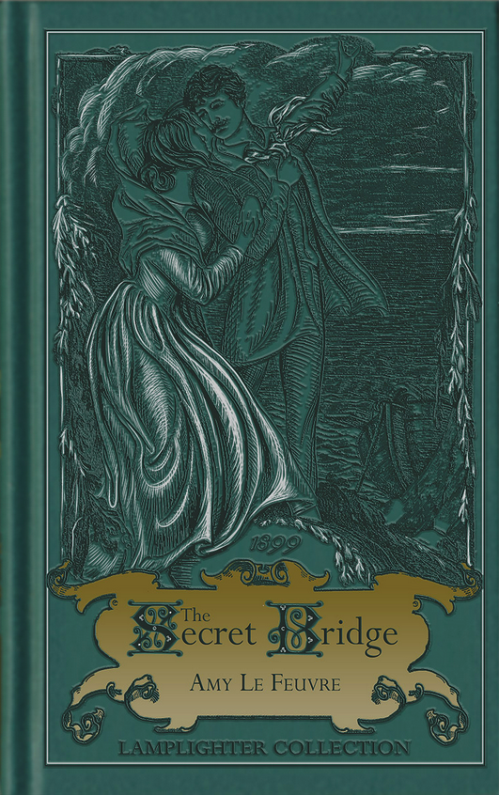 The copy of The Secret Bridge that I received is a hard-cover story. You can purchase this title for $28.00. The cover is absolutely amazing. The soft, leather-like feel and gold colored embossing made me feel like I needed to get out some fancy china tea cups and a long flowing dress and sink back into the Victorian era on a settee. It is very sturdily and beautifully made. In The Secret Bridge, we are taken into the world of Bridget. She loses everything. She is alone and has no money. But secrets complicate life. The story though is much more than a love story. It's the story of one woman's search for God. I though did enjoy reading the story, and working my way through The Secret Bridge. In our time period of checking the New York Times Best Sellers list, we do forget about the authors that came before. Instead of always checking for the new, especially for historical fiction, why not take a look at the fiction that was actually written during that time period. There are so many books written that we will never be able to read them all, but we can try. Fortunately we have Lamplighter Publishing on our side to keep clean, wholesome fiction available to you and your families. I highly recommend you check them out. They have several titles available and audio dramas also. Several members of the Homeschool Review Crew were given the opportunity to read The Secret Bridge. See what they thought by visiting the link below.